The FNB Premier division wanted to launch a newsletter for their database of 500 000 Premier and Premier Select clientele. 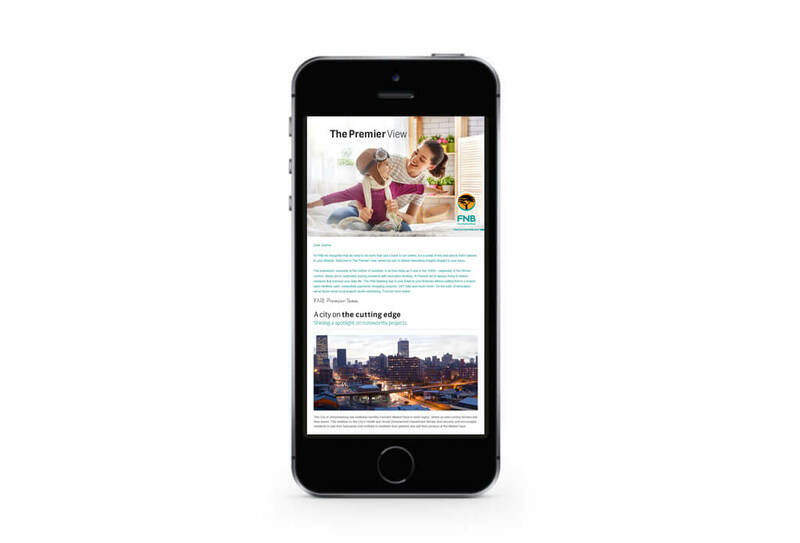 The aim of the newsletter was to communicate an understanding of the customer’s interests, life stages and needs, with emphasis on interesting and useful lifestyle content, rather than the hard sell of FNB products. Due to the rise in phishing attacks, the newsletter could not contain click-through links, so what we created had to be cohesive, eye-catching, compelling, current and engaging enough to be an impactful stand-alone communication tool. We set out to create a feeling of exclusivity through world-class design featuring the use of evocative visuals aligned with the FNB Premier CI. In line with the trends for consumption of information and with consideration given to firewall-blocked visuals, we created a product that highlights interesting and eye-catching take-out information that is quick to read, easy to digest and subtly linked to the FNB Premier offering. 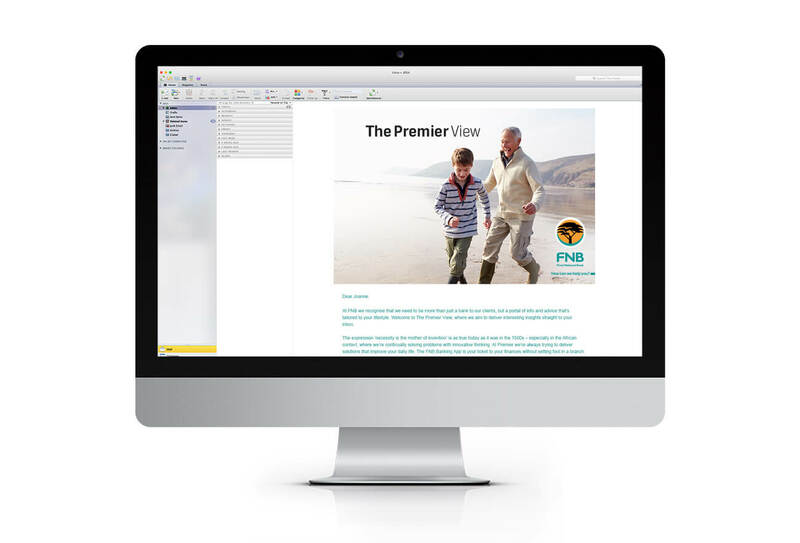 The solution was four newsletters targeted at two different FNB Premier segments (FNB Premier and FNB Premier Select). These newsletters go out every six weeks. 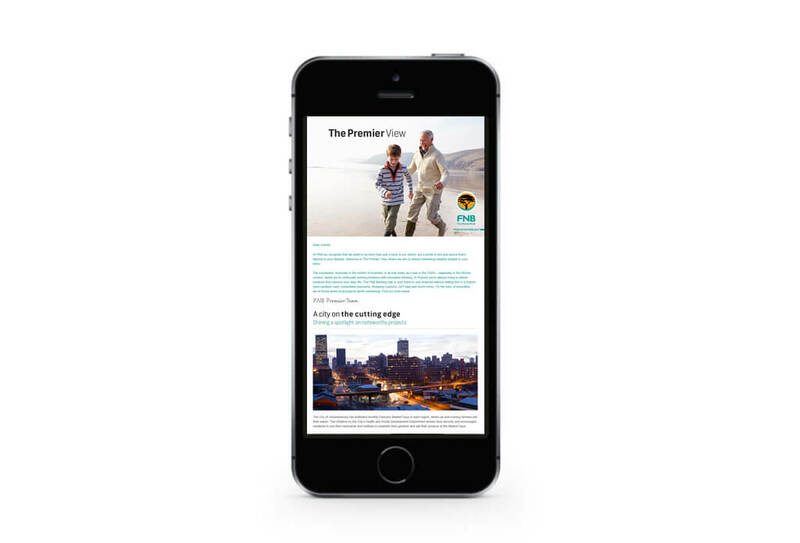 Two of the newsletters (one for the FNB Premier client and one for the FNB Premier Select client) contain additional information about the FNB App to drive clients who have not accessed the app to download it. 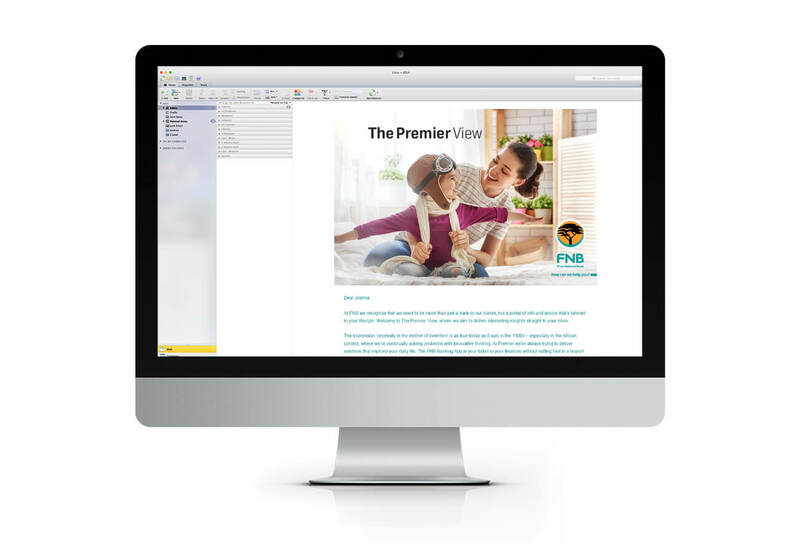 In addition, analytics reports are drawn up by John Brown Media to assess and ensure that the newsletters are providing FNB customers with relevant information that is appealing and engaging.